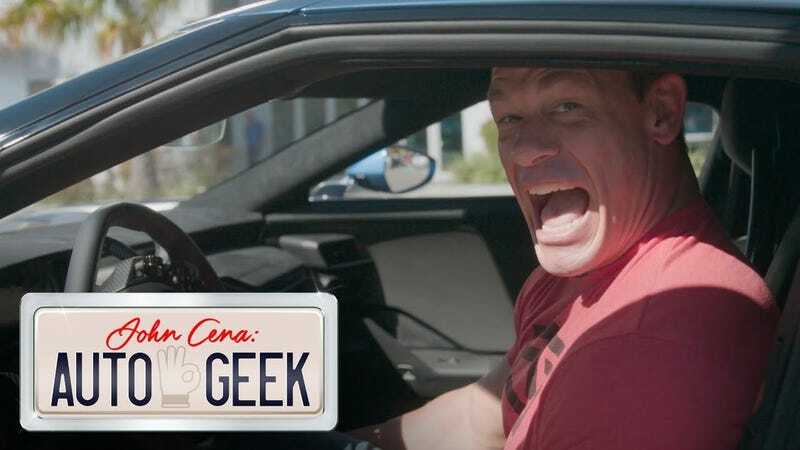 Everyone knows John Cena as a wrestling superstar and that guy who was surprisingly funny in that movie you saw but forgot the name of. But he is also a legit car nut, and he just bought himself a Ford GT. He was not ready for the sound. The dude seems pretty impressed with Ford’s newest creation, especially the monstrous sound that comes from the 3.5-liter twin-turbo V6. While some folks may balk at the idea of a 300,000+ supercar only having six cylinders powering the wheels, for Ford it all comes down to saving weight. This might not be the most technical review, but Cena does a good job of keeping his videos fun. He’s also one of us: the type of guy that can get excited about anything cool with a motor.